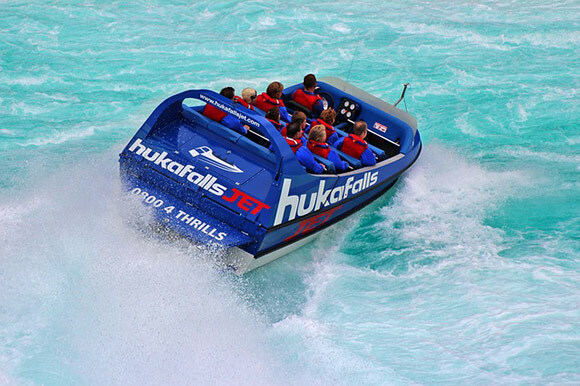 The Hukafalls Jet boat is an exhilarating, once in a lifetime water ride through the Waikato River with amazing views of the spectacular Huka Falls. Experience a combination of adventure and spectacular natural beauty along the Waikato River. 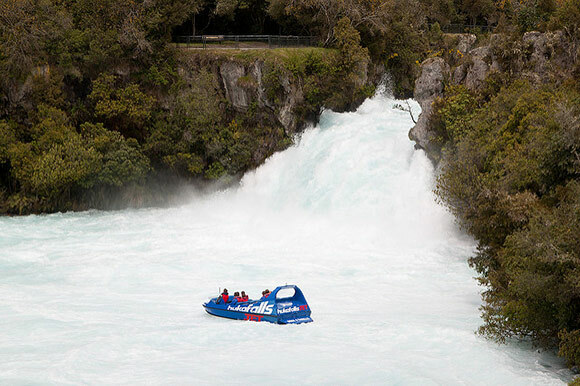 Hukafalls Jet boat is the one and only way of getting to the base of the amazing Huka Falls itself. The Huka Jet Boat headquarters are located 10 minutes north of Taupo at the Wairakei Tourist Park at 200 Karetoto Road, Taupo.